Twitter is a wonderful media for the discovery of new movies, books or music. Recently, while scanning my timeline, I came upon a response to the Canadian singer Beamer Wigley (@BeamerWigley) — sent by another young singer from China — the 11-year-old 钟辰乐 ChenLe Zhong (nickname- Lele). Usually it is singers from the English speaking world that get featured in the English language media, but throughout the years we have introduced many young talents from across the world right here – at TheSkyKid.com . 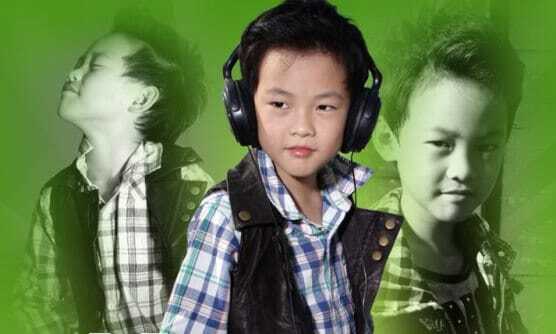 One can find quite a lot of covers performed by ChenLe Zhong on YouTube, and even hear his first original song titled Music Boy, which was released in the summer of 2012. 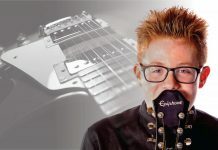 On many of his covers, he performs the songs of former child star Declan Galbraith who is (as is the case with many other young singers from the English speaking world) tremendously popular in Asia — and in China in particular. 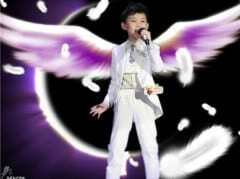 Two years later, in January of 2013, the talented Chinese youngster released his second original song My Wings, a lyrical ballad which he performs in his native language. A Chinese website, which features a profile of ChenLe Zhong, characterizes his voice as: pure, sweet and mellow with resounding power and full of penetrability and explosiveness. 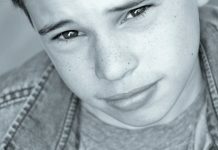 These are characteristics one undoubtedly would agree with when hearing the boy perform. 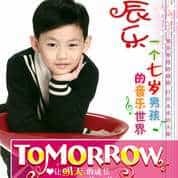 ChenLe Zhong has released two albums: Tomorrow (2010) and My Wings (2011). They each feature both songs in his native language and popular English language songs such as Tomorrow from Annie the Musical, I Just Can’t Wait to be King from the Lion King, and a beautiful cover of Declan Galbraith’s Tell Me Why. Not wanting to overload this introduction with video clips, I selected two (above) out of the many one can find at YouTube. Discovering the songs of the young Chinese singer is a rewarding experience and I invite you to share that experience by searching for his name on YouTube. A ChenLe Zhong fan page is available on Facebook and you can follow him on Twitter @ZhongChenLe. He is quite active on the social media and one can’t help but notice the friendly communication he maintains with singers his age from across the globe. I hope that you have enjoyed this introduction and will help the young ChenLe share his music and talent. He’s very talented indeed. 10 years old Chinese who can speek English – it’s not usual. Similar to the yearly years of Declan about the time when he released his self titled album.